If you lend your car to a friend and he gets into an accident, your car insurance will pay to repair the car for covered incidents. Insurance follows the vehicle, not the driver, so typically the car will be covered by your insurance policy regardless of who is driving. In some instances, however, your insurer may not pay to repair your car if it’s wrecked by another driver. For instance, if you did not give the driver permission to use your car or if your policy has the person listed as an excluded driver you may not be able to file a claim. Another thing to remember when you lend your car – if your friend gets into an accident with your vehicle and you file a claim, your rates are likely to increase because it’s your policy that’s covering the car. But if your friend gets a ticket while driving your car, the infraction will be charged to your friend because he was the operator of the vehicle. If you want more detailed information on this topic, read "Insurance follows the car." 7 Responses to "If someone borrows my car, is he or she covered under my auto insurance?" If I wrecked my car and have a lien on it but I was going to let it go back to the lienholder, do I have to fix it or can I keep the check from the insurance company? I am also filing bankruptcy. 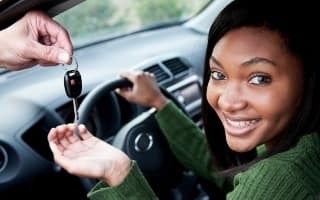 So I am covered under my auto policy if I loan my car to someone who is licensed but uninsured? Good. In my state the law that is posted on the insurance commissioners web page states that everyone that borrows my car is covered by my insurance. I don't know when auto insurances started insuring people and not vehicles. If two people have to insure the same car why can't both people file claims when the car is damaged? Insurance companies are just modern day gangsters. People keep saying get Government out of our lives, we need to say get big business out of our Government. I let my sons girlfriend borrow my car and she got backed into TWICE while driving it. As such, the standards of fault dictate she was not at fault either time. However, my insurance carrier is trying to tell me I have to add her (shes 25 and does not live in my household) as an operator to my policy. We live in MA. I have never heard of such a thing and didnt think that was possible. Ive worked in insurance for 23 years but its been 15 since I worked at the agency level so I wasnt 100% sure if something had changed. I always told my insureds that with permission others could operate your vehicle. True, carriers get twitchy about it, but the insuring agreement states you pay the premium, we pay the claim. In Mass you are supposed to only add LICENSED operators residing in your home. Now this claims adjuster is threatening not to pay future claims if my sons girlfriend drives the car again unless she is on my policy! I found that interesting and impossible to do. you didnt tell if the insurance rate would go up higher than if the vehicle owner was driving.